Synopsis: The dramatic and often tragic years of Marie Antoinette’s early life, told in her own words. 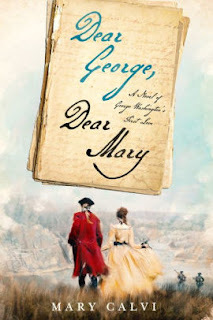 This book for young adult readers follows her privileged childhood and adolescence in the beautiful palaces of Vienna as the youngest and least important of the daughters of the all powerful Empress Maria Theresa of Austria and invites the reader to share the long journey, both emotional and physical that ended with her marriage to the Dauphin Louis of France at Versailles. This is the unforgettable story of a charming, fun loving and frivolous young girl, destined for greatness, coming to age in one of the most magnificent and opulent courts that the world has ever seen. My Review: The Secret Diary of a Princess tells the story of the early years of Marie Antoinette in diary form. Maria Antonia is the youngest daughter of Maria Theresa. She has been neglected by her mother. However, Maria Antonia has a carefree life with her older sister Maria Carolina. When an opportunity for a marriage alliance between France and Austria arises, Maria Antonia is thrust into the political spotlight. Maria Antonia, unused to the attention being showered upon her, tries her best to adjust to the role of being the Dauphine of France. Maria Antonia is a carefree child. She is lazy when it comes to her academics. She would rather play rather than learn to write well. Maria Antonia is often described as a prankster. She likes to play jokes on her governess. Therefore, Maria Antonia was a very playful young girl. I really thought that Melanie Clegg did an excellent job in portraying Marie Antoinette in her early years. The reader can see how innocent and naive she was. The reader will also see how unprepared she was for the role of Queen of France. Marie Antoinette was never taught to behave like a mature young woman during her formative years, and it leads to her ultimate downfall. Overall, The Secret Diary of a Princess shows us that Marie Antoinette’s early years were just as tragic. She had been neglected by her mother. She had to deal with the deaths of her father and sister. She also had to adjust to her life after her favorite sister left for Naples and to prepare for her role of Dauphine. Marie Antoinette’s life was no fairy tale. I also thought that the novel did a great job in portraying Marie Antoinette’s other siblings. Maria Theresa’s family is so large that when reading about Marie Antoinette, it was hard to keep track of them. However, the author fleshed out their personalities so that I had no problem telling the siblings apart. The only thing I didn’t like about this book was that the drama of the Habsburg family was a bit too drawn out. 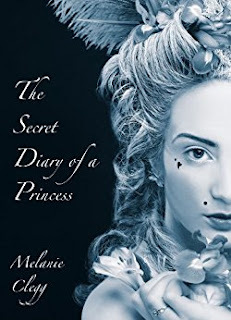 Still, The Secret Diary of a Princess is a must-read for fans of Marie Antoinette! 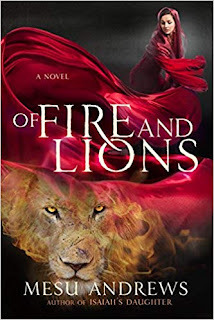 The novel is so very well-written that it left me anxious for more! Hopefully, the author will write a sequel! I recommend this book for fans of Becoming Marie Antoinette, The Hidden Diary of Marie Antoinette, and The Royal Diaries: Marie Antoinette.